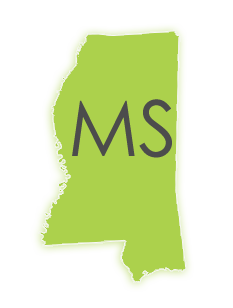 Stop getting bogged down searching for a certified Mississippi court reporter. Stop sinking in the hiring process. Start getting your time back to focus on vital aspects of your case. If you are dissatisfied with the quality of court reporters or legal professionals you’ve been staffing, the availability of highly competent specialists, or the amount of time devoted to finding and qualifying court reporters or any other job you need filled, then Discovery Litigation Services is your direct solution. We offer you the strongest tools and support to ensure perfection at every turn. Starting with a qualified Mississippi court reporter is essential to getting off on the right foot. When you lift the bar and expect more from your contractors, you create a strong foundation from which to build. With highly qualified professionals working for you and implementing the most advanced litigation technologies, you will find the process just naturally flows. You will spend less time in damage control mode because there is already a tool or protocol set to handle it whatever issues come your way. You will spend zero time searching for experienced court reporters because Discovery Litigation Services supplies you with an expert Mississippi court reporter ready for work right out of the box. You will spend a lot of time refocusing on the important facts of your case, your business, and your life once you put Discovery Litigation Services to work for you. Discovery Litigation Services offers a full suite of tools, an easy to use platform, and an army of experts working for you. You get the cream of the crop at the click of a mouse. You get a dedicated team of experienced legal professionals at your disposal. With Discovery Litigation Services you will get over 20 years of experience behind you, just by pressing a button. What are a few differences you can count on with Discovery Litigation Services? Our court reporters are experienced in all case sizes. Discovery Litigation Services is founded by a veteran court reporter who has made it his mission to put you first. Who has made it his mission to make premium contractors available regardless of your location or budget. That is the culture upheld by Discovery Litigation Services and all of its professionals. The Discovery Litigation Services’ reach is vast. With the digitization of court reporting and legal services, DLS has become the industry leader in providing timely and effective solutions. No longer are your hands tied. You deserve the best regardless of your deposition location. With the DLS platform you get everything you need wherever it is needed. DLS will eliminate the process of searching reams of referrals and resumes and get you the right people for your team. It has never been this easy to find professionals as when you utilize Discovery Litigation Services and the hiring power of its worldwide network. Discovery Litigation Services, in keeping with its corporate culture of creating partnerships with its clients, provides qualified neutrals who are experienced in the field of Alternative Dispute Resolution. In an environment where controlling the cost of litigation is paramount, our neutrals have the skills and knowledge to find a resolution to even the most complex litigation. DLS will eagerly provide close coordination with your law firms to ensure they receive the service they need to manage your cases. Discovery’s extensive relationships with eBilling companies ensures your back office requirements are met. Transparent pricing to copy-side law firms and active monitoring of state by state regulations ensures full compliance with various statutory requirements. Discovery Litigation Services will bolster your team’s efforts and instantly increase your experience level and credibility. With the DLS team on your side, you can rest assured that every aspect and every need will be taken care of to the highest standard imaginable. Alexander Gallo had spent ten years as a court reporter prior to opening his first court reporting business Alexander Gallo & Associates in 1999. Alex then went on to continue to grow his business into the largest in the nation becoming known in the industry for delivering the latest deposition technology available. After multiple iterations and business partnerships, Alex saw an opportunity to rebuild a business that was more in line with the needs of today’s law firms. Today, Alex is instrumental in supplying the most technologically relevant services to the litigation community. As founder and CEO of Discovery Litigation Services, his dedication to the craft and to every client is unrivaled by his peers. Alex refuses to sit back and let the business work for him, he spends his days leading the Atlanta office and meeting with clients face-to-face focused on delivering exceptional service to everyone that elects to have DLS on their team. Gallo’s passion and experience in providing the best litigation services and experience in the industry has attracted many high performers.